The demand within the global dehydrated food market has been rising on account of key advancements in the food industry. Removing the water content from food items to increase their shelf life is a key hack used by the food industry in the contemporary times. Hence, the demand within the global dehydrated food market is projected to trace an ascending trajectory in the years to come. Dehydrated food serves the advantage of easy storage which had played a pivotal role in popularising dry food products. The food industry has witnessed an expansion in its product portfolio in recent times, and a number of dry food items have been added to the sleeves of retailers. The dynamics of the global dehydrated food market are such that a slight change in the strategies of one market vendor would invite a response from other market players. Owing to the aforementioned factors, the global market for dehydrated food is projected to accumulate voluminous revenues in the years to come. The global dehydrated food market can be segmented on the basis of the following parameters: type, distribution channel, and region. Owing to the wide product portfolio of the global dehydrated food market, it is essential to familiarise with the aforementioned segments. 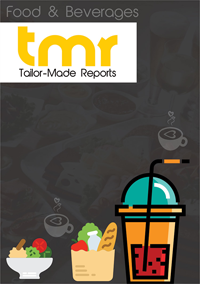 A report on the global dehydrated food market is a comprehensive analysis of the forces that have aided market growth in recent times. Furthermore, the report is fragmented into multiple segments in order to offer a sane level of understanding to the readers. The geographical dynamics of the global dehydrated food market have also been included in the report. The demand within the global dehydrated food market has been rising on account of the health benefits served by dried food items. Furthermore, preservation of meat products is also done by removing the moisture from the products which is another propeller of demand within the global dehydrated food market. Dehydration of fruits is done to prepare fruit biscuits, chips, and other similar products which is projected to reek of growth within the global dehydrated food market. The growth of the global dehydrated food market also hinges on advancements in the restaurant business. Besides this, dehydrated food does not lose its nutritional value after losing moisture which is a key standpoint from the perspective of market growth. Medical practitioners recommend dehydrated food items to children which is also a pivotal driver of demand within the global dehydrated food market in recent times. The demand within the market for dehydrated food in North America has been rising on account of the availability of dried food items across retail outlets in the US and Canada. Furthermore, the demand within the market for dehydrated food in Asia Pacific has risen due to the ever-expanding population in India and China. Some of the key players in the global dehydrated food market are General Mills Inc., House Foods Corp., Nissan Food Holdings Co. Ltd., and Ting Hsin International.